Waverly hills sanatorium located in Louisville, Kentucky, USA, and is regarded as one of the most haunted location in the USA! Featured on almost every ghost hunting program in the US, Waverly has been subject to extensive investigation and on many occasions unearthing what most would say is proof of the existence of the paranormal! Waverly first opened its door in 1910 and housed thousands of patients suffering from tuberculosis. Originally built to house 40-50 patients, Waverly ended up housing up to 400 patients at a time. Waverly had its doors open for over 50 years but due to a new revolutionary antibiotic which drastically eliminated tuberculosis and the hospital closed in 1962! Waverly re-opened a year later, but closed in 1980 as officials found out evidence of horrendous patient neglect! No one knows exactly how many people died at Waverly, but it is said that at least 6000! People died. The patients of Waverly would often suffer terribly and must go through horrible treatments; Such as, electroshock therapy, experimental surgery and other cruel and unethical procedures. One of the more well-known and truly tragic cases is that of Mary Lee, a nurse that treat people with tuberculosis and ended up contracting the disease herself. Mary got pregnant to one of the doctors and was unwed the shame of all this was too much for her and she took her own life, by hanging herself in room 502. Mary laid undiscovered for a long time. With Waverly’s cruel and sinister past there is no wonder why it is supposed to be one of Americas most haunted locations! 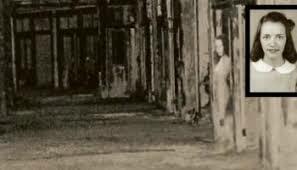 With dozens of photos, videos and audio recording that apparently capture the image of sound of something paranormal, not to mention the countless eyewitness accounts. There is no doubt that Waverly has a very sad past, but does that sadness still reside there in the form of restless spirits? What are your thoughts?